Witness the 10th Anniversary of the Sino-UK Cooperation: President Qiao and Vice-president Guo Signed the Intent Letter of Cooperation. On June 26, 2014, Mr. Simon Gaskell, Principal and President of Queen Mary University of London led the delegation, including Mr. Jeremy Kilburn, Vice-President, Ms. Yue Chen BUPT-QMUL Joint Program Co-Director, Mr. Mark Sandler, Head of School of Electronic Engineering and Computer Science, Ms. Tania Thodes-Taylor, Director of Marketing and Communications, Mr. Yi-zhe Song, Lecture School of Electronic engineering and computer Science and Ms. Maggie Li, Administration Manager. Firstly, Mr. Qiao, President of BUPT, expressed his warm welcome and gave the Joint Program high degree of recognitions and praises. He said, it was his pleasure to witness the development of BUPT and QMUL with Mr. Gaskell and he wanted to express his appreciation to all employee of QMUL. Mr. Gaskell was very grateful for the nice hospitality and indicated that in the future, QUML would give the Joint Program the full support as always and invest the best teaching and management team. 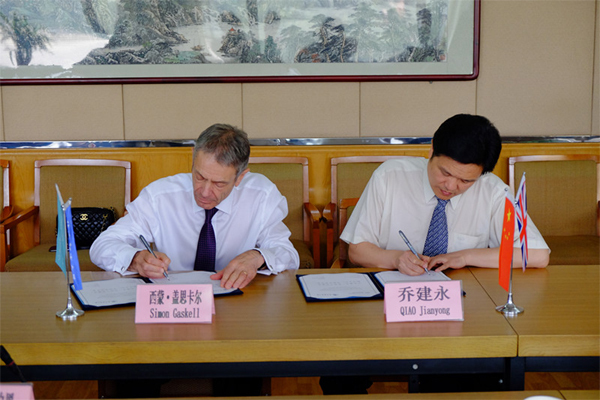 Next, Professor Guo Jun, Vice President of BUPT, Dean of School of Information and Communication Engineering, and Mr. Jeremy Kilburn, Vice President of QUML signed an agreement on QMUL-BUPT Joint Research Laboratory on Connected Digital Media, while Mr. Qiao and Mr. Gaskell both acted as witness. 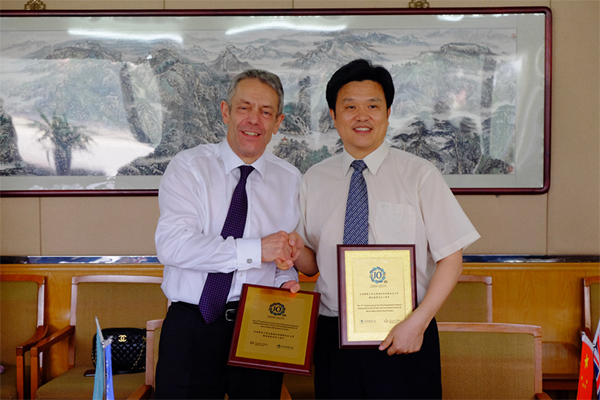 The agreement illustrated that areas of cooperation between BUPT and QMUL has extended from education to research. Ms. Xin Lingling, Assistant to President and Director of General Office, Ms. Ren Chunxia, Director of International Office, Ms. Wang Hongyuan, Party Secretary of International School, Ms. Wang Jie, Party Secretary and Vice Dean of School of Information and Communication Engineering, Mr. Li Yuxiao, Dean of International School and Director of BUPT-QMUL Joint Programme and Ms. Wang Yao, Head of Administration Office of International School, also participated in the meeting.